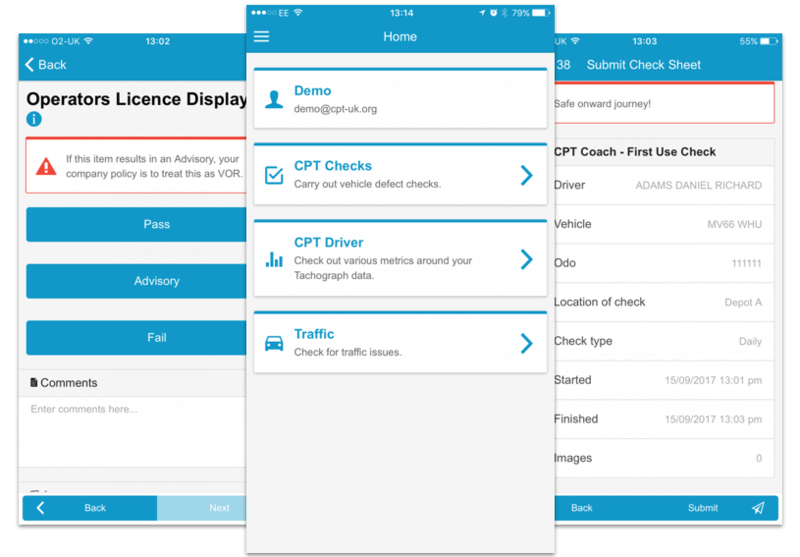 CPT Daily Checks has been specifically designed for the coach and bus industry in conjunction with the Confederation of Passenger Transport (CPT). 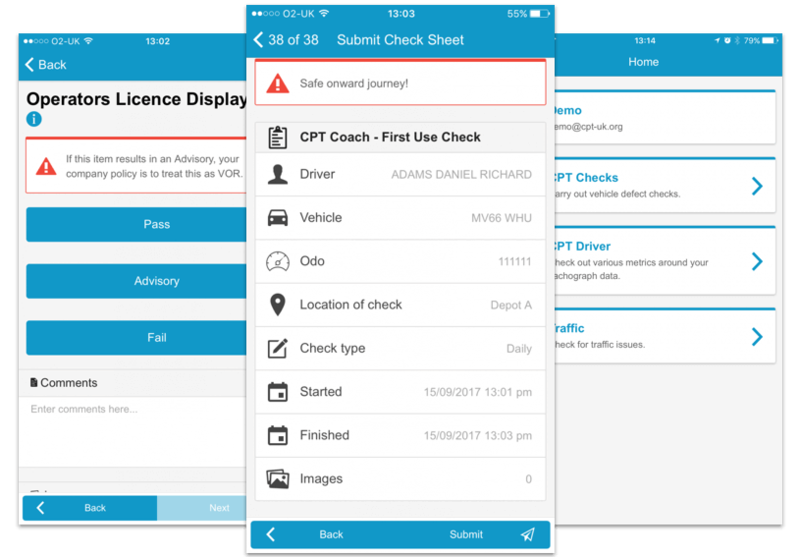 The easy to use App covers first use and all daily driver vehicle checks with CPT approved templates. 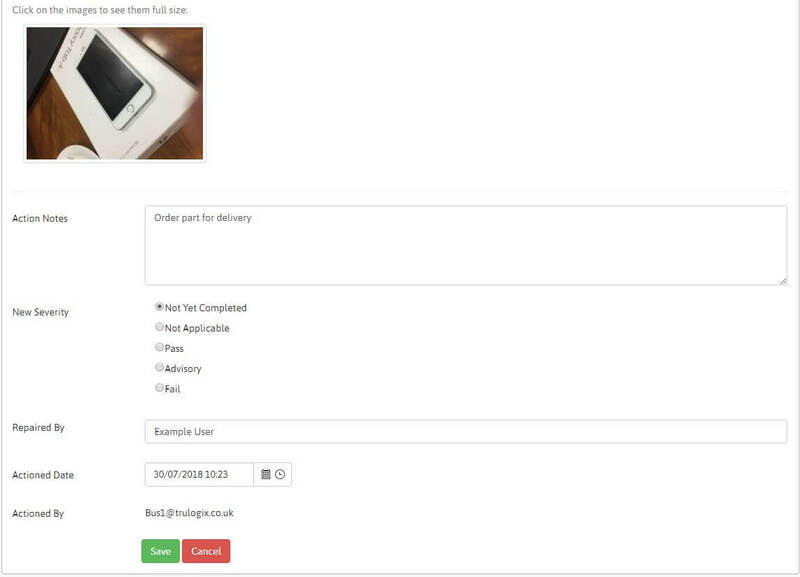 Drivers can carry out inspections for all checks and submit instant results at the click of a button. Photographs and detailed notes can be added for all faults and actions. The compliance management system complies with all regulations and DVSA guidance on inspections and service maintenance records. 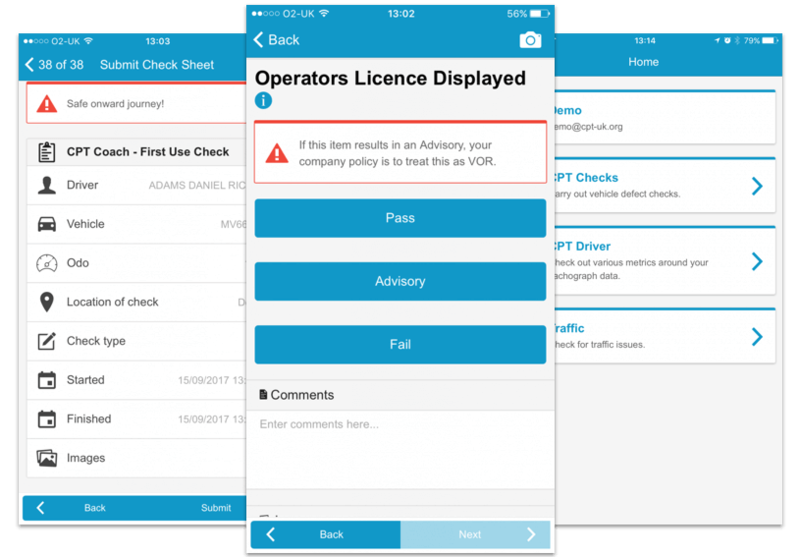 Completed checks can be sent to multiple emails and are instantly viewable by transport offices and workshops for efficient defect rectification. Advisory and failed checks are highlighted and reported for comprehensive defect and maintenance audit records. All checks and reports can be downloaded in various formats for detailed KPI analysis. The system seamlessly integrates with CPT Tacho Analysis and provides drivers full visibility of their working-time, infringements and tachograph data.